Navarakizhi face treatment or Herbal ball facial is one of the typical Ayurvedic treatments. The treatment is termed so, as Njavara(Navara) rice is the main ingredient in the preparation. The cleaned Navara rice is boiled in the mixture of milk and decoction. It is then tied in a suitable cloth and made in to a bolus. A face massage with medicated oil may be over the face prior to the application of bolus according to the instruction of the physician. The bolus is then applied over the face by dipping in the warm mixture of milk and decoction intermittently. During the course of the treatment the bolus gets reduced and nullify since the navara rice is used up. It nourishes the tissues, softens the skin and enhances complexion. It brings about strength to face muscles and improves the overall appearance of the face. A unique beauty therapy to transform you to the most beautiful one. 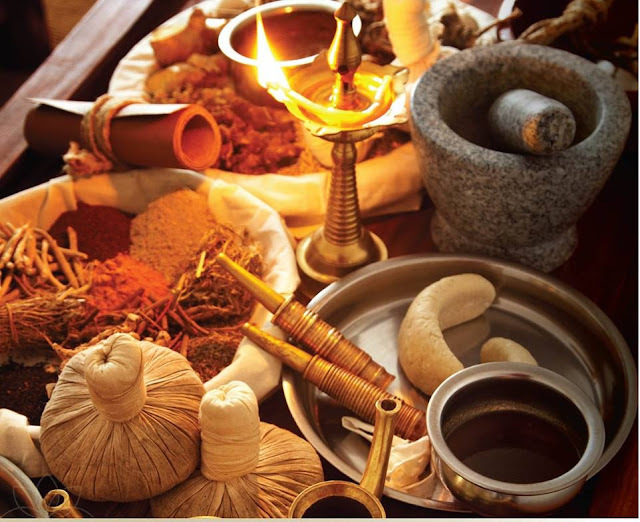 This perfect blend of Ayurvedic therapies help in skin toning, removal of dead skin, reducing tanning, improving complexion, softening of face, ultimately resulting in rejuvenation & revitalisation of the entire face. A unique vitaminsed rice facial to give excellent glow and suppleness to your skin.